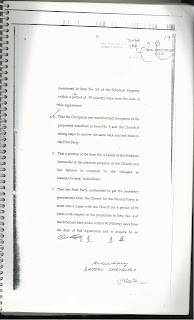 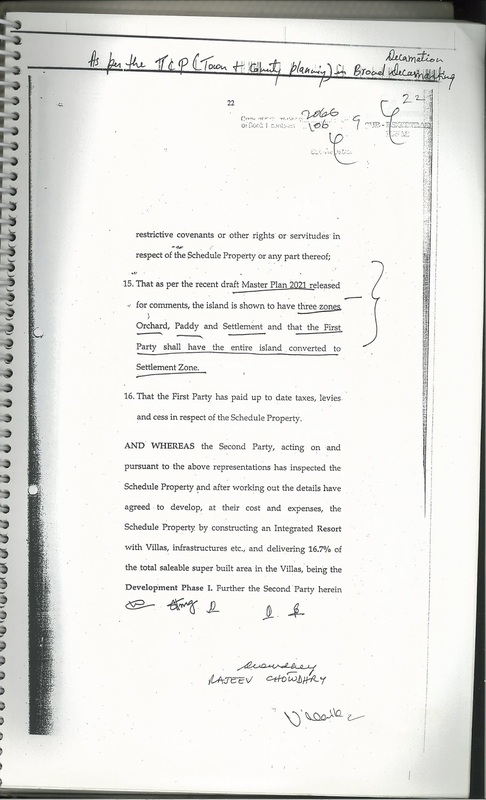 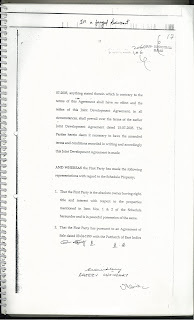 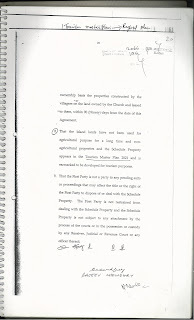 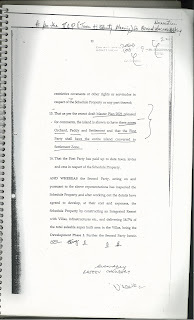 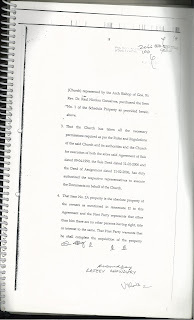 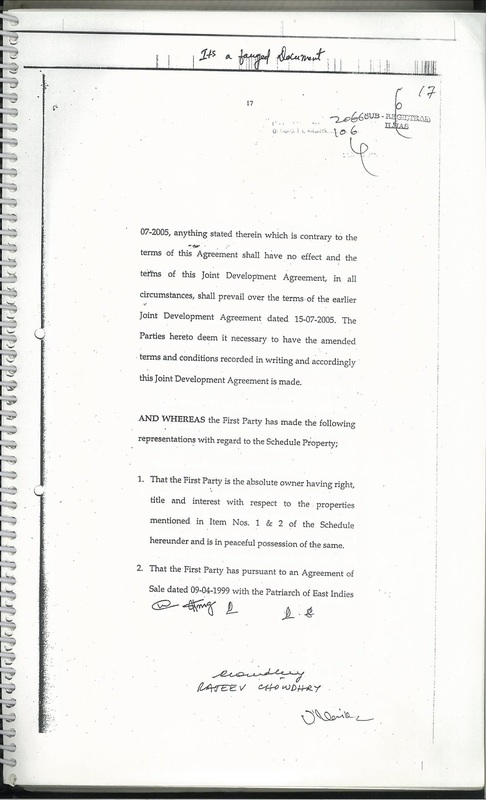 These documents are pages from Joint development Agreement of August 11, 2009. 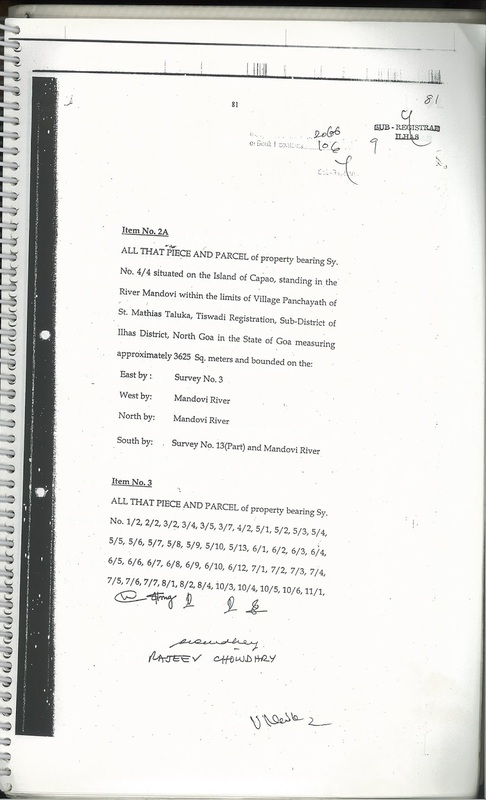 These six pages are very crucial. 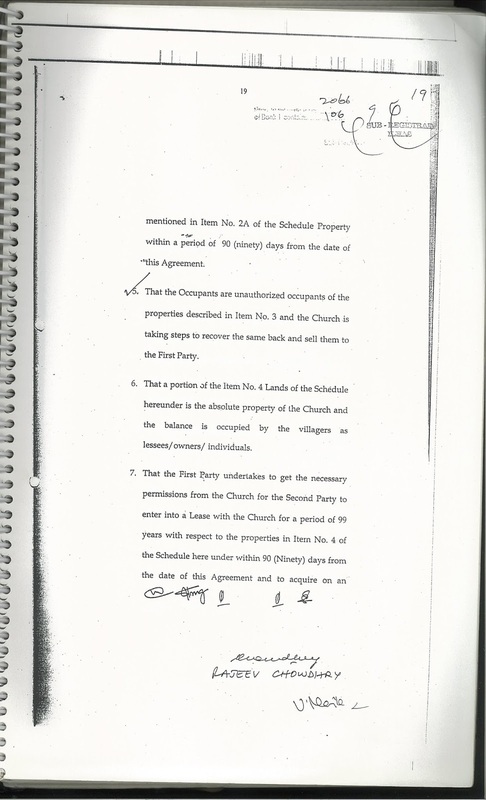 These pages details as to how Archbishop Raul Gonsalves played key role in selling of Vanxim, then how Vanxim people are labelled as unauthorised occupants, and how Mahendra Gaunekar will get into 99 years lease did with the Archbishop of Goa on lands that are residential areas. 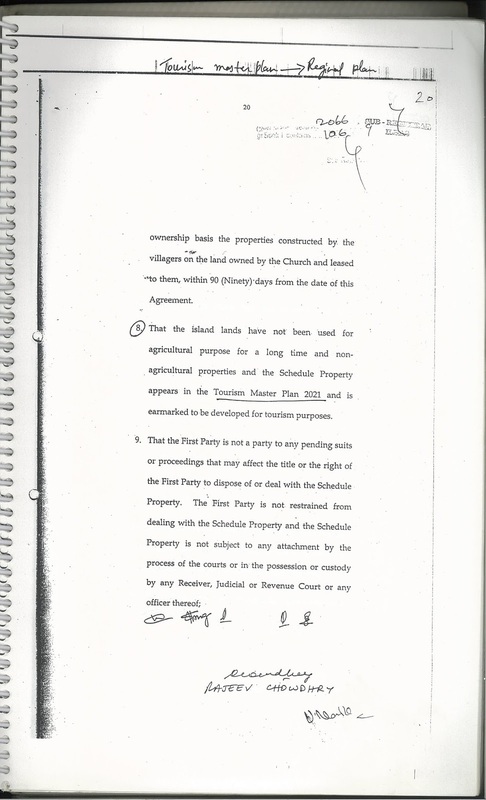 These pages also mentioned that paddy fields are not cultivated for agricultural purpose for a long time and Tourism master plan has marked Vanxim for tourism purpose, and Ozone will go ahead and construct resort and luxury villas. 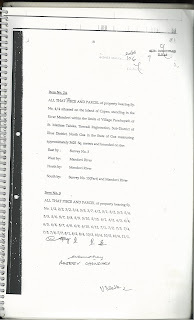 These pages are example of complete high-handed fraud for corporate benefit guided by bamon Raj. 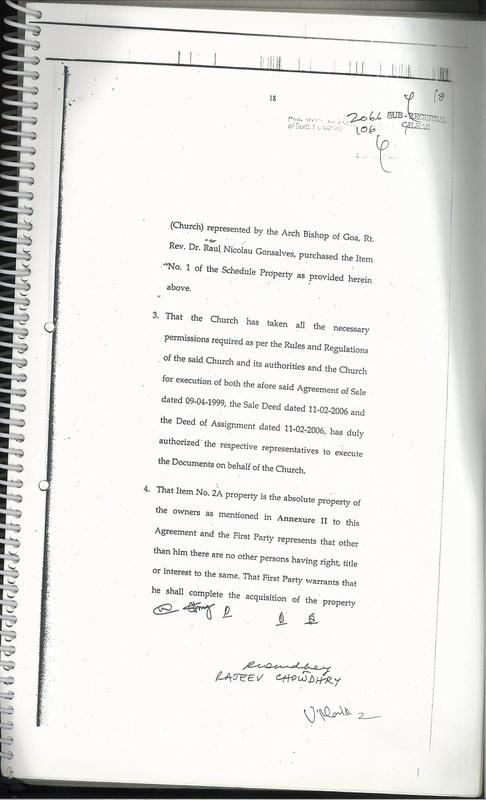 Has Gaunekar entered into 99 years of lease for Vanxim residential areas with the office of the Goa Archbishop?